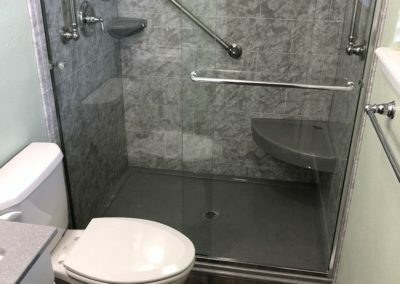 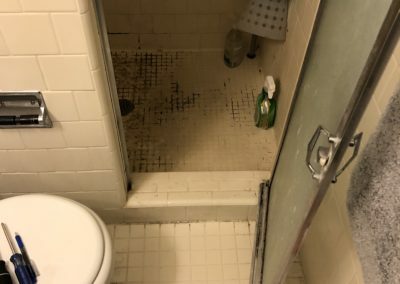 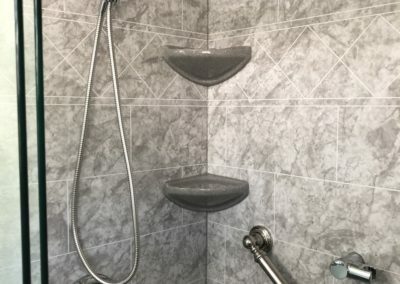 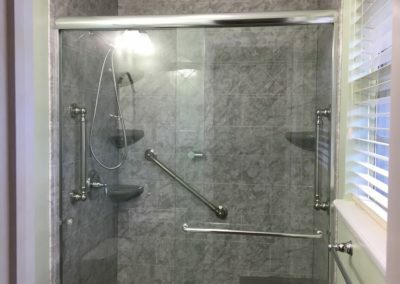 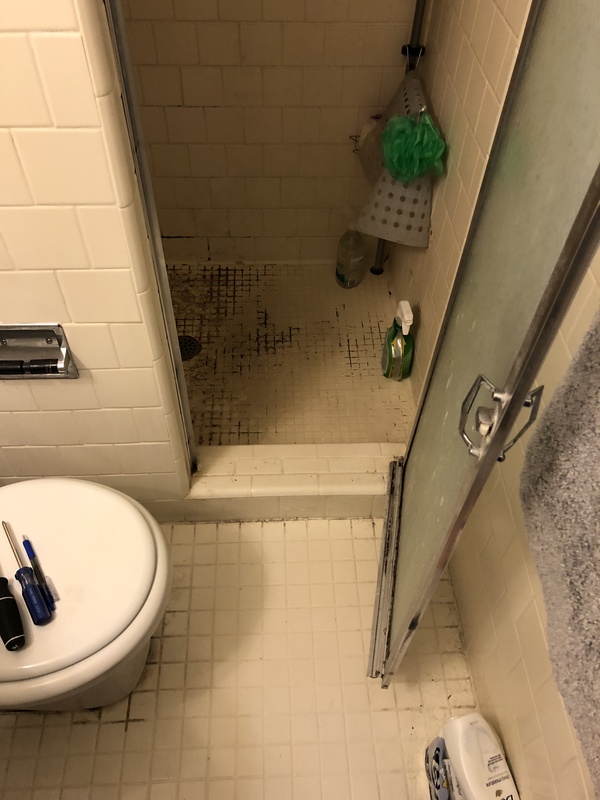 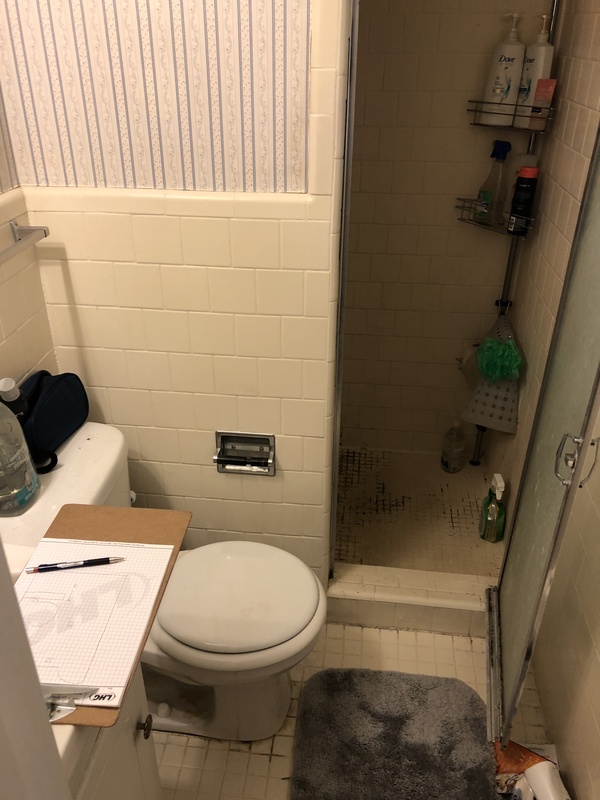 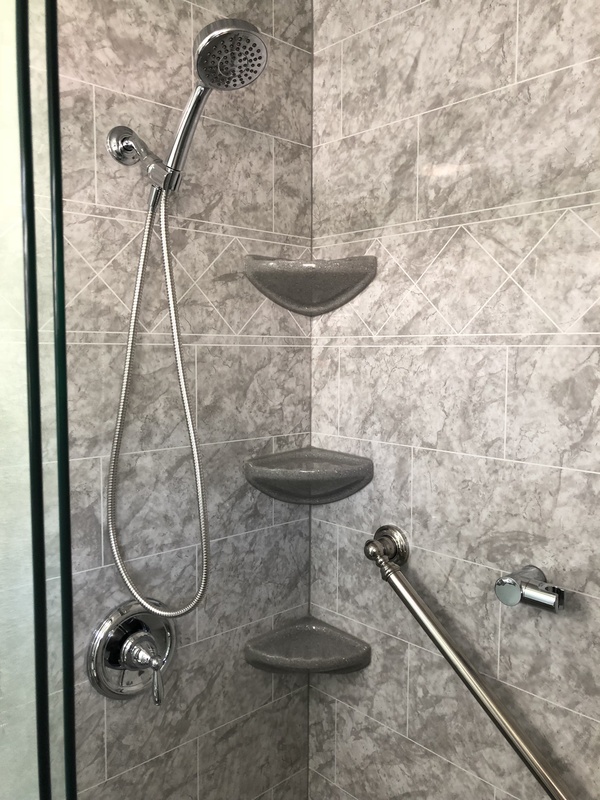 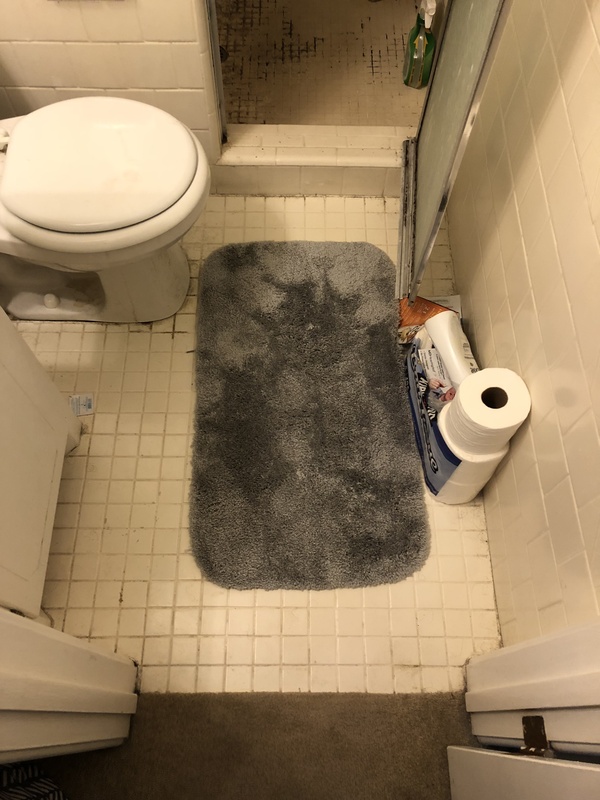 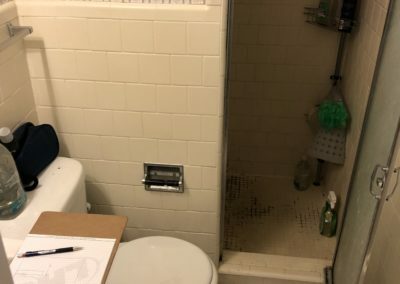 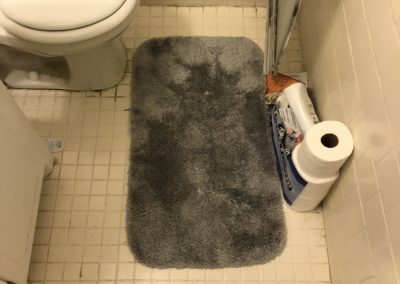 This couple had a lot of mold and mildew growth in their shower thanks to grout. 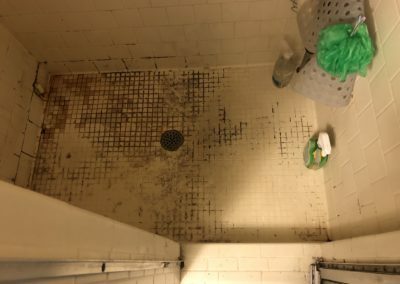 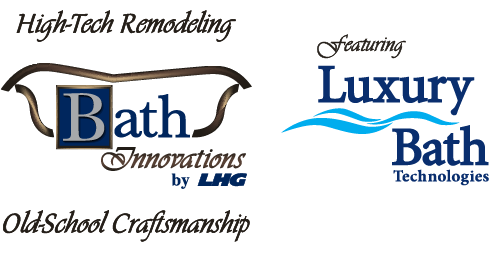 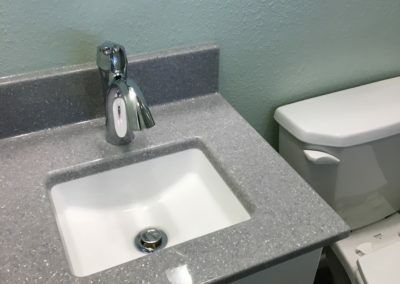 We eliminated that problem once and for all by removing all tile and grout from the wet-area. 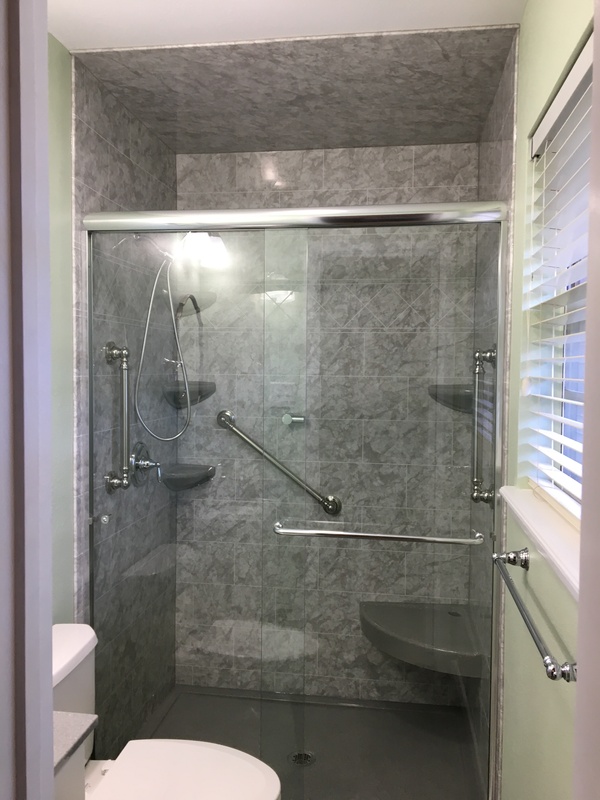 This Arctic Ice Impressions series wall surrounded by Luxury Bath Technologies turned out stunning. 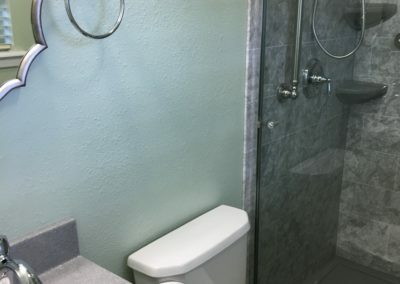 The whole bathroom seems so much more spacious too after removing the wall and furdown. 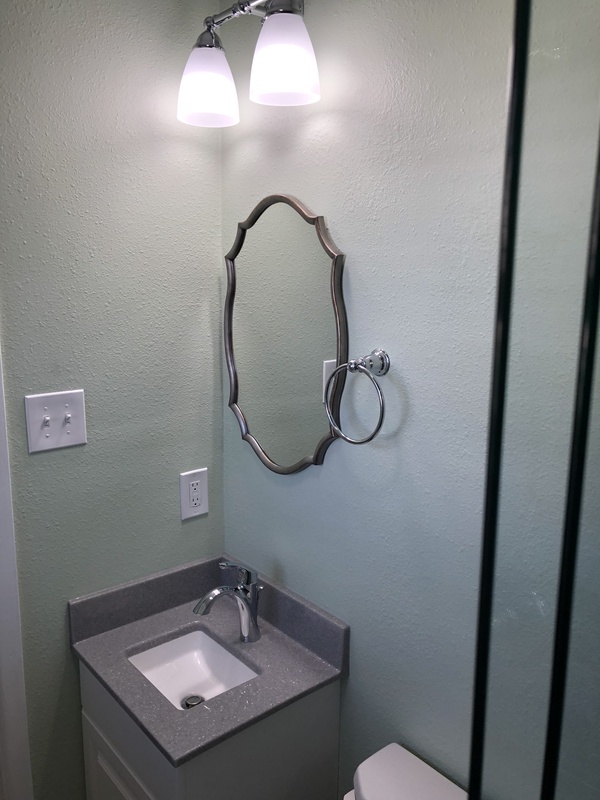 We replaced the vanity cabinet and added a new custom Onyx top matching the new low-profile shower base. 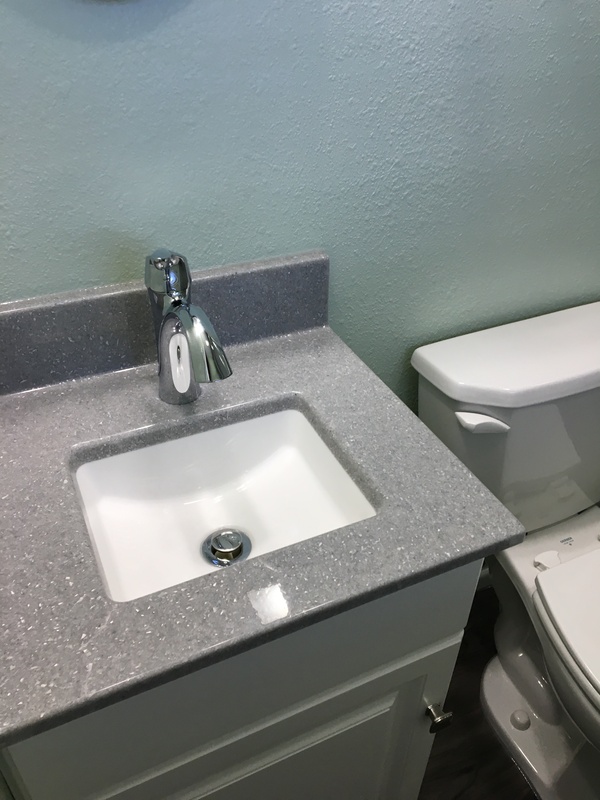 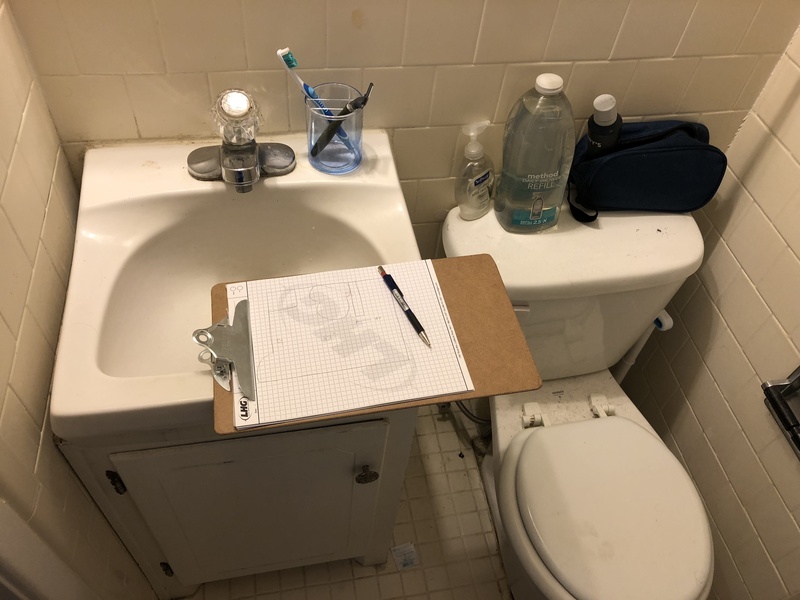 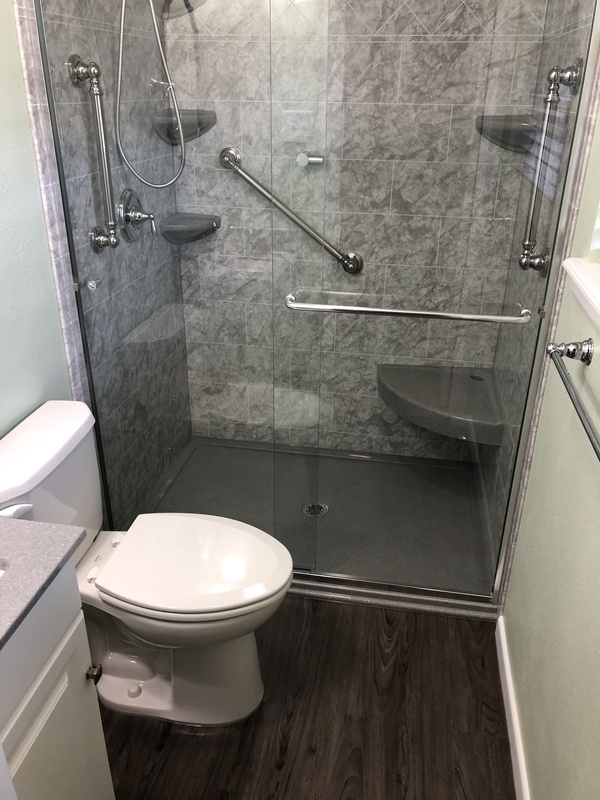 We also replaced the old toilet with a space-saver ADA height toilet and installed new vinyl plank flooring. 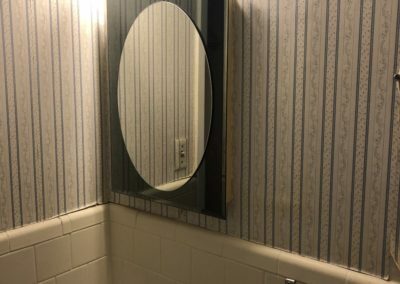 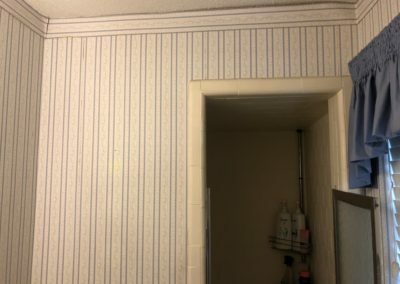 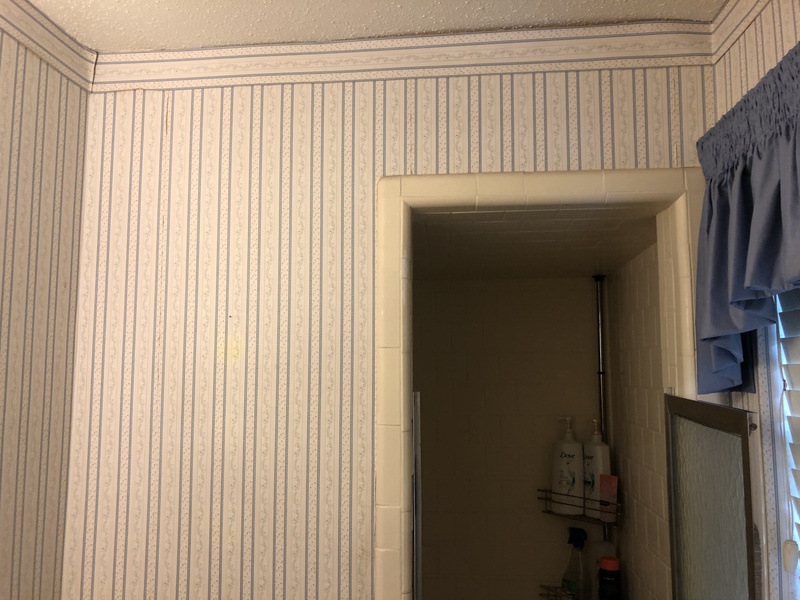 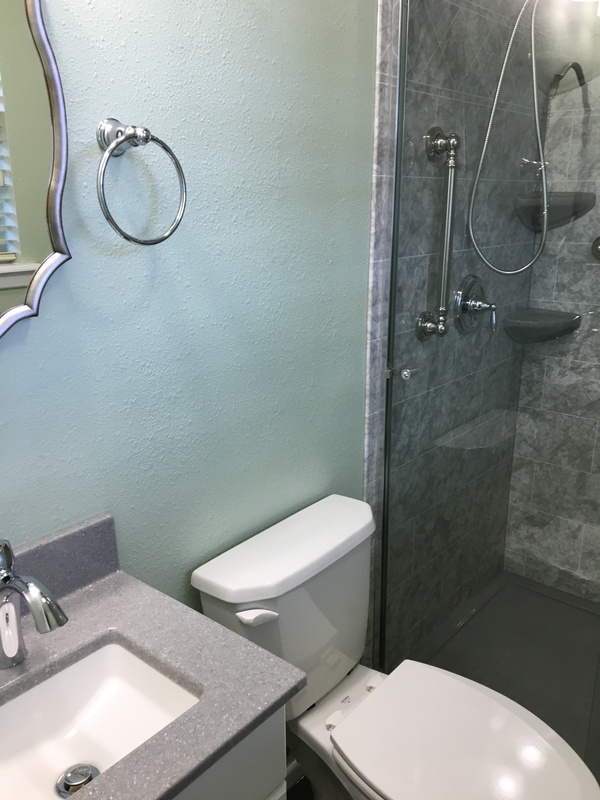 We scraped the popcorn ceiling, removed wallpaper, then retextured and painted the bathroom. 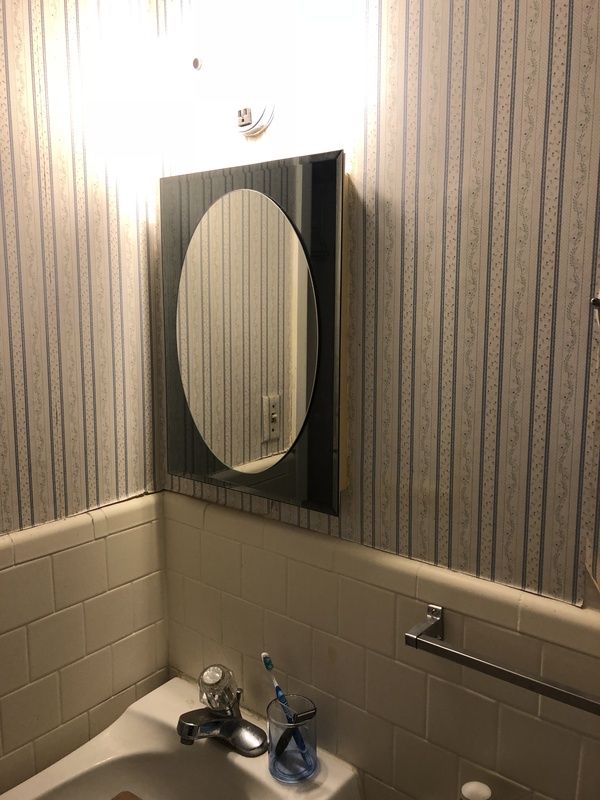 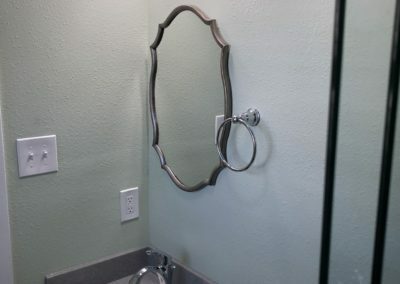 The 2-globe vanity light and antique-style mirror add character and finish off this beautiful new space.